Mel Gibson is due to start his next movie as a director in autumn 2010 and has chosen Leonardo di Caprio to be the main feature. The film, with no title as yet, will be based on a Viking epic, written by William Monahan and produced by Graham King. Other than the official agreements of those involved in the project, not much is known regarding the plot and further details. Mel Gibson seems to have flair for historical epics (remember The Passion and Apocalypto) which nonetheless have all had some controversial reactions over the strong nature of featured scenes. Latest Gibson’s works included playing in The Beaver for director Jodie Foster. Now, after a four year pause, and some troublesome personal episodes regularly making the news, Gibson is set to step back again behind the camera. 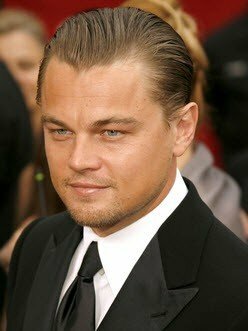 As for Di Caprio, he has declared to have always been fascinated by the Nordic myths and Viking culture, and has seen the upcoming work as the occasion to further explore the subject. The actor has been recently involved in many projects including a work with Ridley Scott on Aldous Huxley’s Brave New World and a co-starring movie with Angelina Jolie about Gucci’s fashion empire.